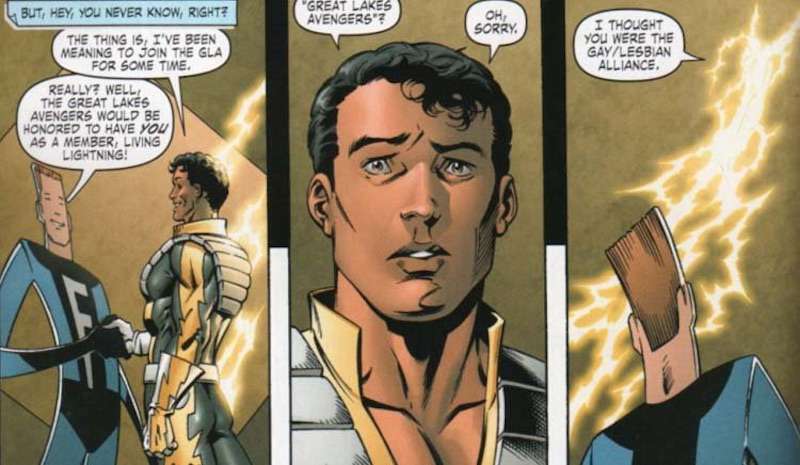 A Gay Latino Superhero Will Appear in ‘The Avengers’ Comics, But Will We Ever See Him in the Films? 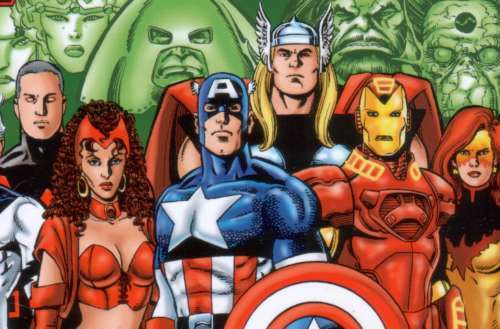 Marvel comics has long struggled with with diversity. Even though they have an impressive looking Black Panther film coming out soon (with a majority black cast), most of its film’s superheroes are white straight men and in April, the comic book company’s Vice President of Sales blamed declining sales on retailers not ordering comics featuring women and people of color as superheroes. Perhaps that’s why they’re adding a gay Latino superhero called Living Lightning to their Avengers comic book series in 2018, but will he last or just be gone in a flash? Living Lightning, (aka. Miguel Santos) first appeared in 1990. He gained the power to control and embody lightning while investigating a terrorist organization that his father worked for. He later became a member of the West Coast Avengers, a team that included the ace archer Hawkeye, robotic hero Iron Man, his military successor War Machine, The Human Torch, Spider-Woman and others. 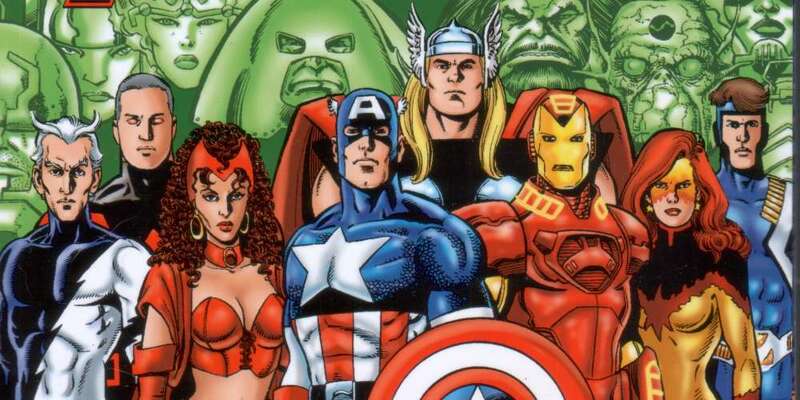 Santos will join the main Avengers team in 2018 in a weekly storyline running from Avengers issue #675 to #690. And he’s hardly the first openly gay or bisexual male Marvel hero ever to appear in the comics. Three X-Men — Northstar, Colossus and Iceman — and the teen Avenger couple of Hulkling and Wiccan are all gay. Wolverine’s son Daken is also bisexual. It remains to be seen whether Marvel will ever put an openly gay or bi superhero in onscreen, but at least they’re still presenting them in the print editions.